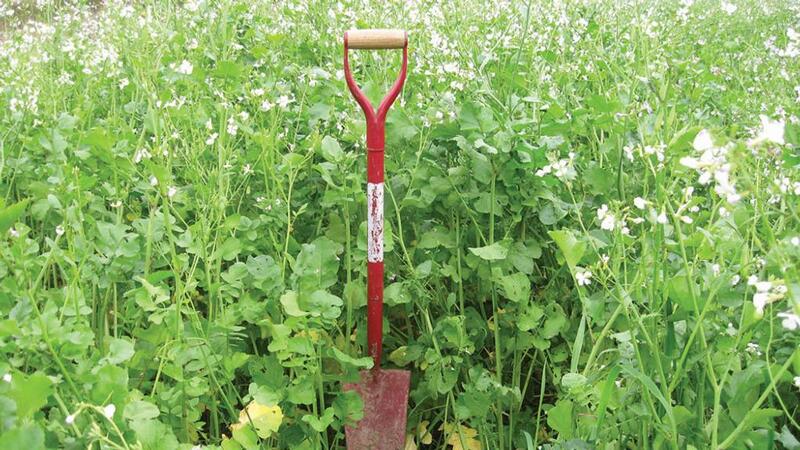 AHDB-funded research is aiming to help growers maximise the benefits of cover crops. Andrew Blake reports. Autumn weather can dramatically affect the establishment and value of cover crops, AHDB-funded research has revealed. Seasonal differences were all too obvious during the three-year research project*, says project leader Anne Bhogal, of ADAS. The project started in August 2016 and aims to maximise such crops’ economic, agronomic and ecological benefits. Dr Bhogal says: “In autumn 2016 we did not manage to get our cover crop trials in until mid-September and then it stayed very dry. Cover crops have great potential to boost sustainable crop production through several mechanisms, explains Dr Bhogal. “These include improving soil structure and quality; greater soil nutrient and water retention; reducing the risk of soil erosion, surface run-off and diffuse pollution; and by managing weeds or soil-borne pests. “Cover crops can also count towards Common Agricultural Policy greening requirements. Quantify the effects of different cover crops on soil properties, crop rooting and yield, and develop bespoke cover crop seed mixtures. Validate the effects of different cover crop mixtures and new cultivation technologies on AHDB Monitor Farms. Transfer knowledge of the findings to growers, industry and academia. “We hope to provide practical science-based information for cover crop selection and management, as well as new knowledge on how such crops can be used to enable deeper, more extensive crop rooting,” says Dr Bhogal. The project has three components, she explains. In the first, three large-plot experiments have been established (one in autumn 2016 and two in autumn 2017) where seven cover crop species sown as ‘straights’ and three mixes of those species are being evaluated and compared to an uncovered control (see box). Dr Bhogal says: “We are looking at cover crop establishment, biomass and rooting down to 60cm, and the impact this has on the establishment, rooting and yield of the following spring barley crop. “We are also evaluating the potential effects of the different cover crops through to the following winter crop, as benefits are not often realised until later in the rotation. The second package involves taking some of the treatments from the large plots and evaluating them in a series of tramline trials on three AHDB Monitor farms and Hutchinsons’ demonstration farm. The first set of tramline trials is examining the effect of two of the cover crop mixes and an uncovered control on the performance of the following spring and winter crops – and including a more limited set of soil and crop assessments. The second set of trials is exploring three establishment techniques, namely strip tillage, direct drilling and the use of a cultivator drill. Four of each tramline trials have been established – two in autumn 2016 and two last year. The third package is undertaking a full cost/benefit analysis at each of the trial sites. A single year of cover cropping is insufficient to measure impacts. “It is a long-term investment which needs to be evaluated across the whole rotation. By continuing measurements into the following winter crop we hope to evaluate this further,” says Dr Bhogal.